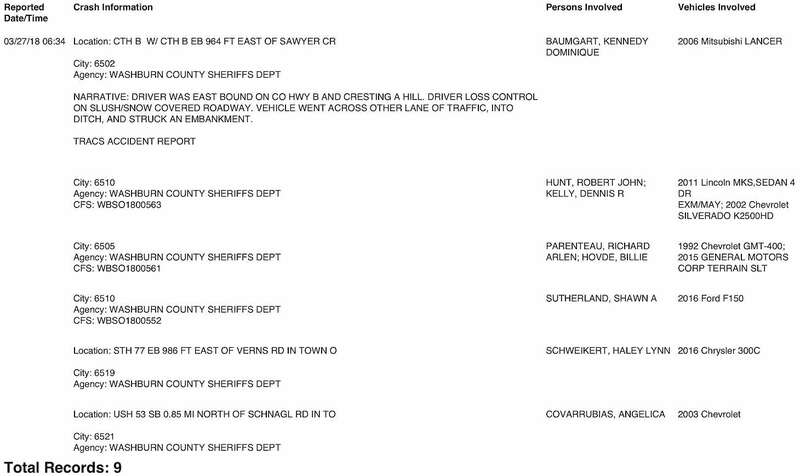 DrydenWire.com has been informed of the following recent crashes in Washburn County. This public information and record are courtesy of the Washburn County Sheriff's Office. To view/download this document in high-resolution, click the link at the bottom of this post.